Today all of Ecuador and the footballing world lost Christian "Chucho" Benitez. One of the most accomplished players for the Ecuador national team, the El Nacional club in Quito, Santos Laguna, and a top scorer for three seasons with Club America de Mexico. Chucho graced our stadiums and TV screens with amazing headers, incredible strength and unparalleled finesse. When I watched him via television, or more often on my computer screen, I saw only magic. Magic immortalized by his artistry and reminiscent of his father, the great Ermen Benitez. Just today I learned that he had twins born in 2009. I can't imagine how difficult it will be for them, his wife, the team, and the country. We now turn the page and close a chapter in the Ecuador national soccer team. We put this book in our library of memories to check on later dates those moments of fantasy that brought joy to Ecuador and the teams he played for. We owe you those smiles and chants and the pride you instilled in us as citizens of Ecuador and the footballing world. This is how you became immortal, Chucho, through the love and passion of the people that followed you. Six games. Six wins. Outscoring opponents 20-4. No wonder the US National Team won the tournament. They were the best team by far at every area on the pitch and deserved their spot at the top. Yesterday's match versus Panama in the Gold Cup final was the national team's most difficult yet, at least in the offensive front. Panama put up the best defensive performance of any team in the tournament with some of the finest clean slide tackles I have seen in a long time. Eventually, however, the American attack was too much and the US scored. 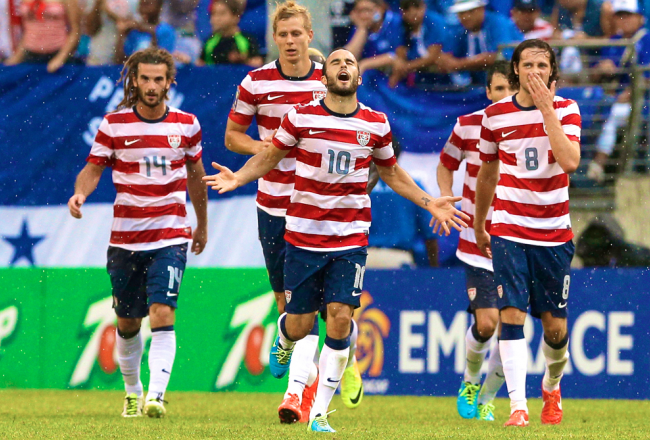 The match was a true coming of age for Mix Diskerud. After an unfortunate injury to Holden's right knee (could be serious), Diskerud entered the match in the 19th minute. Immediately, he started winning balls and maintaining possession and creating attack. Everything a box-to-box mid needs to do. The defense had its share of issues on the flanks due to the "Canaleros" insistent and speedy wingers but the central defenders cleaned up most of the plays and Matt Besler showed why he's the best center back in the national team pool. Blas Perez was frustrated all afternoon and never quite attacked Rimando with clarity. In the midfield, Beckerman controlled the incoming attacks down the middle and provided cover for the defense with quality. And while Corona faded off after halftime, Bedoya once again put himself in a position to be considered for the full national team from now on. For the forwards, this was a particularly frustrating match. Eddie Johnson was often, cleanly, robbed of the ball and his attacks were largely ineffective but his defensive hold-up work was quality. Donovan was largely absent due to great man-to-man coverage from the Panamanian defense but eventually controlled the offensive side of the Americans that led to the winning goal. 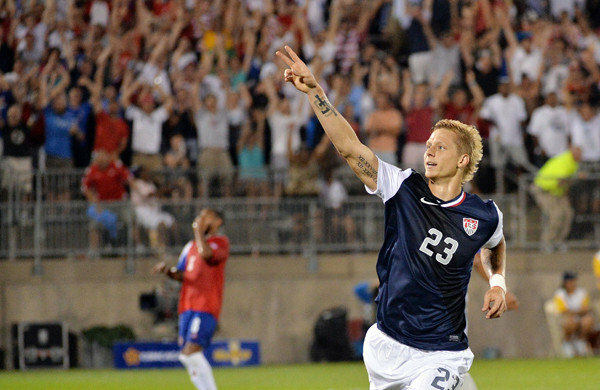 Brek Shea slotted home a pass from Bedoya that was on its way to the goal after Donovan missed his kick. She did this after only 42 seconds on the pitch. The Americans, it should be noted, were missing their head coach Jurgen Klinsmann due to suspension after an unfortunate incident in the previous match versus Honduras when he spiked the ball in frustration over the referee's apparent lack of foul calls. Still Martin Vazquez and Herzog were able to transmit the coach's directions and Team USA performed. It shall be seen if the "B" players in the Gold Cup can break into the full national team. Landon Donovan is almost assured of this, but others have made their cases clear: Diskerud, Corona, Bedoya and Wondolowski. The next test, in which we could see a true mix of players will be the friendly match at Bosnia in August 14th. Thank you, team USA, for providing us with another quality performance and a win in a major tournament. We believe once again that there is a bright future. Landon Donovan was once again a star for the US National team as they defeated, handily, a Honduran side that looked like a specter of the team that defeated Costa Rica just days before. Cohesiveness in the attack, great defensive work and Eddie Johnson's placement contributed to the continuing United States dominance of this year's Gold Cup. Unlike Team USA, Mexico has continued on an unprecedented tailspin that was initiated by a winless, scoreless run at the Azteca in the Hexagonal's World Cup Qualifiers. Three points in what should have been nine. Then came a Confederations Cup that was just as disappointing. Couple this with two losses to Panama in the Gold Cup and a premature exit in the semifinals and "El Tri" is at a crossroads and a "Chepo" de La Torre in danger of being fired as coach. Then there is Panama. A new kid is in town. With Torres as the new darling for the "Canaleros" scoring in nearly every match and nearing a DP salary at Colorado, this squad is looking like a favorite to qualify for Brazil 2014, even if the standings don't favor it at this point. The final this Sunday should be an interesting match. A repeat of the 2005 Gold Cup and one where the Americans are expected to impose their style and poise, a Kyle Beckerman that looks like a viable option behind Bradley and Jones, a resurging and recharged Donovan and the myriad of options at midfield. If Panama wins it, it could be blamed on Klinsmann's absence (if it occurs) or in pure statistics given the 10-game run the Americans are on. Whatever happens, it should be fun to watch. Sixteen months ago, the El Salvador U-23 team tied Team USA 3-3 in Olympic qualifying and in so doing eliminated one of the more talented U23-level squad the Americans have had in at least two cycles. Last night that fateful game was avenged by three special players: Brek Shea, Joe Corona and Mix Diskerud, as the United States routed El Salvador by 5-1. Another special statement was sent out by Landon Donovan, who proved once again why he is the best soccer player this nation has ever had. Another goal and another 4 assists for the US number 10. Not bad. And now we can assume that he will start alongside Dempsey, Altidore, Bradley and the rest of the gang come September's meeting with Mexico in Columbus for World Cup Qualifying. Overall we have to credit the midfield for yesterday's win, as well as the constant forays by Michael Parkhurst and good positioning for Goodson on his goal. Still, Beasley was at fault for the Salvadoran PK and Goodson, despite the goal, was at times slow to react. At forward Wondolowski lacked the "nastiness" needed to score but this was ameliorated by Eddie Johnson within 14 seconds of the Seattle Sounders' forward entrance to the game. Joe Corona and Mix Diskerud were especially impressive throughout the match. They rarely lost the ball and constantly set up dangerous plays. Add to this a goal a piece and we can credit a nearly-perfect game by the two midfielders. They are quickly rising to the top of the pecking order in the senior "A" squad when injuries occur to usual starters like Bradley or Jermaine Jones. At their young age, we can definitely count on them for some time to come, especially given their willingness to learn defensive duties. Brek Shea partly silenced some of his doubters when he scored the game-winning goal in last night's USA vs Costa Rica match. The Stoke City player was guilty of turnovers and a poor showing versus Cuba in the previous game but versus the Ticos he took a brilliant pass from Landon Donovan in a breakaway and put the ball past the goalkeeper. In so doing, the Americans got all 9 points from the group stage, got their all-time highest win streak for a national team (8), and set up a favorable quarterfinal versus El Salvador for this upcoming weekend. The game versus Costa Rica turned out to be as expected, much more physical and difficult than lesser opponents like Cuba and Belize. Costa Rica put up a back line of 5 defenders and flooded the midfield, frustrating Holden and Diskerud, who was reversed from his usual attacking position to cover the defensive midfield. This took some of the bite out of the US attack and Holden was unable to provide the same sort of service for the attackers that had previously occurred. Last night's game served as a showcase for what this "B"-side team is capable of in the later rounds of the Gold Cup as the competition becomes more complicated. Clearly, missing pieces like Michael Bradley and Clint Dempsey could have made a difference in a game that lacked clarity at times and a bit more bite from the Americans. Even so, Donovan, Holden and Diskerud carried the midfield admirably and were rewarded with a just win. Wondolowski had a more difficult time versus Costa Rica mostly because the space in front of him was shut down by the opposing defense and the service from Diskerud and Holden was limited. A more physical player like Altidore might have had a better chance versus the Ticos but that is pure conjecture at this point. The back line stood up well in the match. Few balls got through and those that did were quickly shut down by Goodson and Orozco. On the flanks, Beasley and Parkhurst had plenty of time and space for forays into opposing territory and serve good passes into the middle. The goalie, Sean Johnson, was especially interesting both negatively and positively. During a stint of 3 corners by the Ticos in the second half he did not get to the ball in the 6-yard box, a must for any goalkeeper. Instead, his teammates cleared the area of danger. However, Johnson did make several crucial saves, including the one that eroded Costa Rica's best chance and also served as a trigger for the game-winning goal. It is clear that Klinsmann intends to give some of the younger players like Brek Shea quite a bit of slack for missed opportunities as a way to encourage professional growth. Shea has had an up-and-down career due mostly to injuries with Dallas and Stoke. Hopefully this will served to give him more confidence as he fights for minutes at Stoke City in the Premier League. 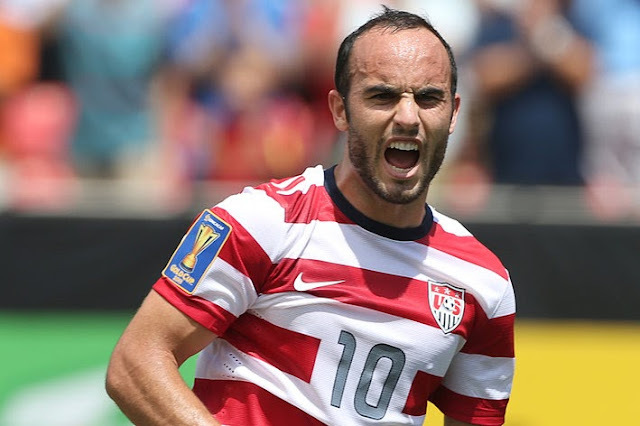 If anyone thought Landon Donovan's time with the US Men's National Team was over, they need to reconsider. Donovan has carried the team to two impressive victories in the Concacaf Gold Cup, 6-1 versus Belize and 4-1 against Cuba. Along with Wondolowski, the two veterans are getting it done. Throw in the impressive comeback by Holden and the new additions of Diskerud and Corona and suddenly you have a "B" team that doesn't look like a replacement squad. 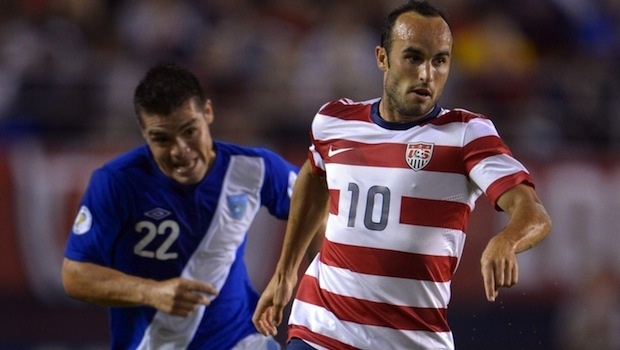 Landon Donovan has looked like his old self. He scores PKs, he moves the ball quickly and securely, he sets up goals and brings confidence. Do not be surprised if he is chosen over Graham Zusi at the next full national team match, which could be a qualifier. 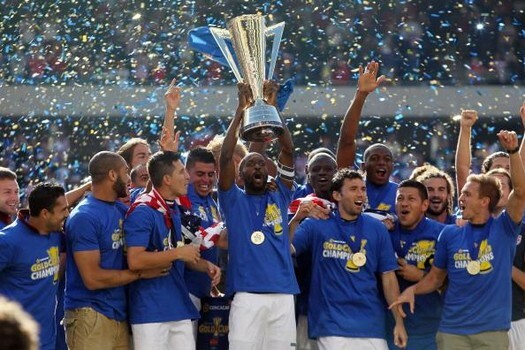 This is Donovan's team in the Gold Cup. He has brought steadiness to the team and a larger dose of purpose. Where Dempsey brings fantasy, Michael Bradley brings muscle and possession, Donovan is the fulcrum. Could the national team come back to its original midfield glory? Do not, however, ignore the work done by current starters in the qualifiers for they have been terrific and timely. However, it is certain that Donovan could elevate the team further. Outside of Landon, Diskerud has been particularly impressive. He manages midfield like a professional, sets up pinpoint passes and distributes the ball well. Stuart Holden, on the other hand, has been the original X-factor he was 4 years ago. He could provide an instant upgrade to the midfield during a major match. Joe Corona, on the other hand, is the wave of the future. He's fast, internationally experienced with his club, and has shown good awareness. His goal versus Cuba was brilliant. Lastly there is Wondolowski. "Wondo," as the San Jose ace is often called, has finally transferred his marvelous club form to the national team. If he keeps it up and scores in qualifiers, he could be a replacement for players that see a decline or others that may be too young (Boyd, McInierney). For now, the tournament truly begins against Costa Rica on Tuesday. A 6-0 score for any team is a rarity and a great sign. That tonight's friendly match between the US Men's National team and their Guatemalan counterparts was played mostly by non-starters on the American side makes it all the more significant. Better still, Landon Donovan returned to Team USA, exploded and scored. During the first half, the US came out "flat," as Andres Cantor put it on Twitter. Although it was a sublime pass by Torres for Gomez to score the opener late in the first half, the tandem of Torres and Beckermann just wasn't getting it done. Enter Stuart Holden and Mix Diskerud. More movement, better passes and, yes, 5 more goals. Can we attribute all the goals to these two midfielders? Of the 5 scored during their time we have to give them 3, as Landon Donovan's was a PK. The third goal came out of a play by Holden that found Wondolowski in the right spot. The same was also the case for the fourth, where a give-and-go between Mix and Holden allowed for another vintage Donovan strike. LD is now up to 51 goals for the USA and not stopping any time soon. After Clarence Goodson's individual play and goal came the final stroke via Bedoya. And yes, the play was engineered by Holden and Diskerud. What are we to make of this match? Stuart Holden is almost back. Donovan is here. Mix Diskerud is a new option. For some negatives are the spotty plays by Torres and a failure to impress by Corona. It's a shame about the latter because we know he's capable of much more when with Tijuana. More dangerous international sides, such as Costa Rica, remain to be played. But even then it's not a true measuring stick since they are also fielding a less-than-optimal squad. It won't be until Holden and Mix are called for in meaningful matches such as qualifiers that we'll see their true potential and evolution, one stemming from recovery and one as a young option. Worth mentioning is also the play of Stoke City's Brek Shea. He was a constant threat on the left flank and it reminds us why Klinsmann is so fond of him. Playing like this you have to like his chances, especially if he plays more often for Stoke. A big win tonight. Not against Brazil or Mexico, but against criticism, time and circumstance. Well done indeed. 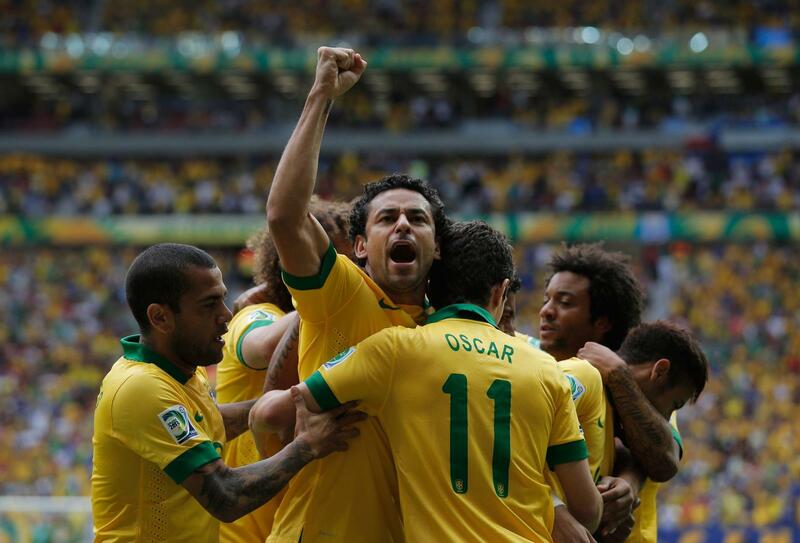 Brazil won its third consecutive Confederations Cup today, in style, and versus the World Cup champions Spain. Might they be on their way to their sixth championship at next summer's tournament? Considering that it will be based in Brazil and the strength of the current team, a degree of certainty is in the air. The star is Neymar, that much is clear. His quick movements, fantasy and goals say it all. Oh, and his recent transfer to Barcelona pretty much seals it for him. Is he better than Messi, as Pele asserts? Not quite. Not yet. Maybe not ever but only time can be the judge. The real strength and difference in this team is the midfield. The team's formation today was reminiscent of Spain's at last year's Euros. Four attackers and two holding mids. Of course you have Marcelo and Dani Alves patrolling and exploiting the flanks and suddenly there are 6 players attacking. It reminds us of formations in the early days of soccer, before the art of defense was introduced. Hulk and Fred are two obvious forwards, yet Hulk is partially withdrawn to feed Fred--and it worked. Then there is Neymar as a Messi-esque number 10 and Oscar as a number 8 in a slightly more withdrawn position. Paulinho and Luis Gustavo act as an anchor in the back with good passing, even if not the box-to-box players we are used to like Michael Bradley. Brazil took it to Spain today with speed and aggressiveness and won the game. They won it by pushing their line all the way to the Spanish defense so that the tiki-taka could not commence. Xavi had no connection with Iniesta and Torres never got the ball. Luck and defense also played a part in this with David Luiz's save late in the first half and Sergio Ramos' missed PK. Things may have been different but we should also consider Brazil's extra day of rest and the fact that Spain went all the way to penalties in the semifinal versus Italy. There is one other type of soccer that caught my eye today as I watched the Selecao play. Total Football. Were they playing Dutch soccer? Seemed so, especially in their recovery. Scolari has been studying his squad, which he rates lower than his World Cup champions of 2002. He has used its youth and speed to his advantage and introducing a more streamlined Brazil that is less defensive than Dunga's and lacks the jogo bonito of years past. Outside the Maracana the people of this Amazon nation asked for equality. Their screams for justice carried into the stadium attached to tear gas. It infected the crowd and team in the opposite way, to grow beyond the despair and sadness for a better outlook of what Brazil can be. It's true that great economic injustices have occurred with the erection of new stadiums and infrastructure for the Confederations Cup and next year's World Cup. But it's also true that this is the game of the people and for the people. Surely there are ways the two worlds can coexist. Reality and sport. In life only athletes can live in both worlds. But let this tournament's non-sport incidents serve as a reminder for how much the sport owes the everyman.